The art world of our design artist HauteBrune ! A unique abstract painting canvas that mixes mirror collage and acrylic. 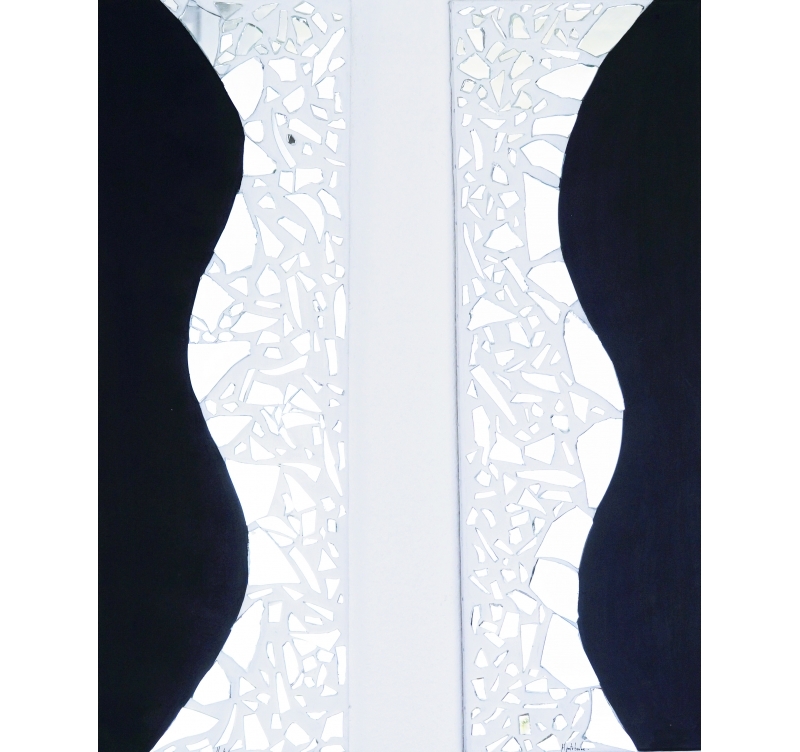 Create a black and white design into your wall decoration. The dimensions of this design oil painting canvas are 30 x 90 cm. 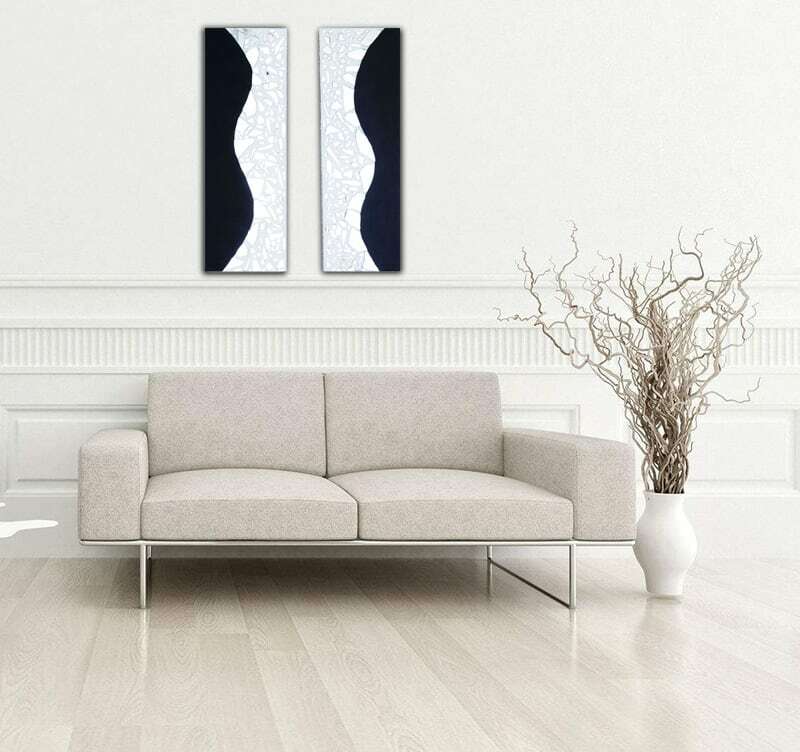 A reflection in the mirror and unique curves on an abstract paint canvas from our painter HauteBrune…This multiple deco canvas will definitely be the original touch of your interior for a contemporary and modern ambiance. 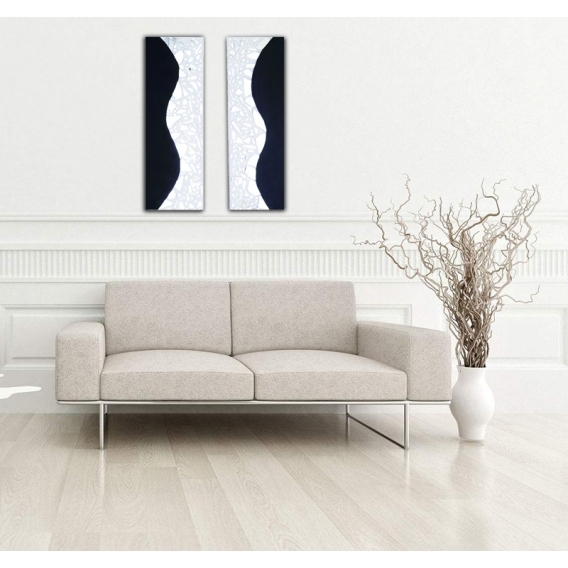 The mirror collage merges perfectly well with the acrylic work to create two black and white trendy canvases. This design mirror canvas is delivered with its frame for an easy hanging-up on your walls and signed by the artist. One copy only of this abstract paint canvas is available.